Finally, the arrival of our greatly anticipated Champion Tie! Made from 100% pure silk, the tie is in the fashionable slim design. 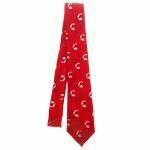 The colour is the bright Champion Red and has the Champion horse head logos in white throughout the tie as its design. Match your race day outfit to your horses' jockey silks! 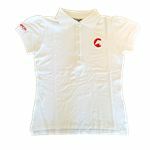 Fitted style ladies white cotton polo shirt with Champion Horse Head logo on left chest and 'Champion' on right arm sleeve. Please note: slightly small sizing. 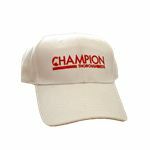 The Champion Thorougbreds White Cap with velcro fastening that is a floppy fit. 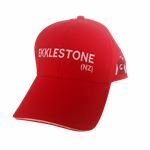 It has the Champion Thoroughbreds logo on the front and our slogan 'The Next Level of Racing' on the back. 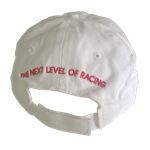 The Champion Thorougbreds White Cap with velcro fastening. 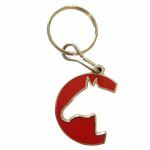 It has the Champion Thoroughbreds logo on the front and the jockey colours on the back. 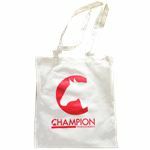 White Champion Tote Bag. Great for the environment! 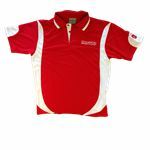 Lightweight material men's red polo shirt with white detailing. Champion Thoroughbreds Logo on the right chest, Champion jockey silks on the right arm sleeve and Champion horse head logo on the back (centre). Quite a large fit. 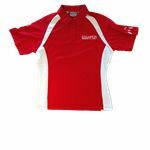 Lightweight material ladies red polo shirt with white detailing. Champion Thoroughbreds Logo on the right chest, Champion jockey silks on the right arm sleeve and Champion horse head logo on the back (centre). Standard fit. The Champion Thorougbreds Red Cap with buckle fastening. 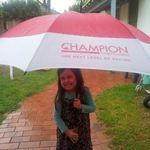 It has the Champion Horse Head logo on the front and 'Champion' written on the side. The style of the cap includes a 'sandwich brim' with white. 'Champion Thoroughbreds' laser engraved pen ballpoint pen with black ink. 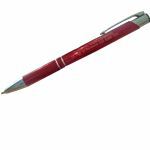 Take our word for it, they're great to write with! Champion's signature 'Horse Name Cap'. 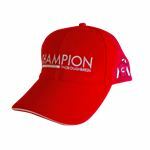 Made to order, these hats sport the name of your horse on the front, the Champion silks on the left side, 'Champion' on the right side and the Champion horse head logo on the back. Velcro fastening and sandwich brim. Please note: these are made to order and could take a few weeks. 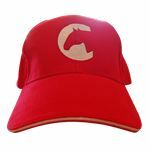 This cap is made very similarly to the Champion Horse Name cap. It has the Champion jockey silks on the side, 'Champion' on the other side and the Champion 'C' on the back. The only difference is the full Champion Logo on the front. It has a sandwich brim and a velcro fastening.